Indeed, many versions of Rani Padmini’s epic story have been part of Indian theatre, film and television for about 111 years, and none invited strictures. 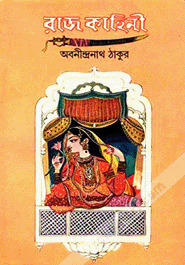 Bengali poet and playwright Kshirode Prasad Vidyavinode’s play Padmini in 1906 revolved around the same story – Alauddin Khalji capturing the Rana of Chittor using deceit, Rani Padmini managing to rescue her husband, and later, as the battle ensued, all Rajput women including Padmini self-immolated. Three years later, in 1909, Abanindranath Tagore’s Raj Kahini was published. This children’s literature collection told a similar tale of Padmini-Ratan Singh-Khalji, adding a part where the Rajput king offered to surrender his wife to Alauddin to protect Chittor, but his fellow Rajputs refused the offer. Cinema history is also littered with retellings of the Padmini story. 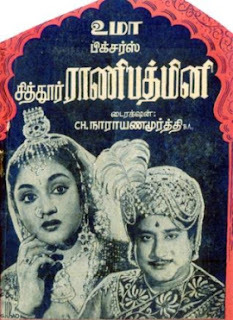 In 1963, Tamil film Chittoor Rani Padmini had actor Vyjayanthimala playing the lead role. Tamil superstar Sivaji Ganesan played Rana Ratan Singh and M.N. Nambiar played Khalji. The film didn’t create any protest before release, nor any buzz at the box office. A year later came the Hindi version Maharani Padmini, starring Anita Guha as the queen, Jairaj as her husband, and Sajjan as Khalji. The film was a damp squib at the box office, but the songs, featuring Mohammad Rafi, Asha Bhosle, Suman Kalyanpur, and Usha Mangeshkar were hits. This film saw no protests either. Apart from these two 70 mm versions, the story of Rani Padmini also found its way to the smaller screen. Shyam Benegal’s epic show Bharat Ek Khoj had one episode on Padmini, with Om Puri playing Khilji, Seema Kelkar playing Padmini, and Rajendra Gupta playing Ratan Singh. In 2009, Sony Entertainment Televsion began broadcasting Chittod ki Rani Padmini Ka Johur, a show directed by National Award-winning art director Nitin Chandrakant Desai, featuring Tejaswani Lonari as Padmini. The show didn’t complete its six-month run due to low TRPs and high costs. And while it was in the news for its opulent sets and costumes, it never witnessed protests for its historical content or context. Bhansali’s Padmavati is clearly not the first time the story of Rani Padmini has been the inspiration for a creative piece. Khalji’s infatuation with her has also been used as a significant part of the narrative. 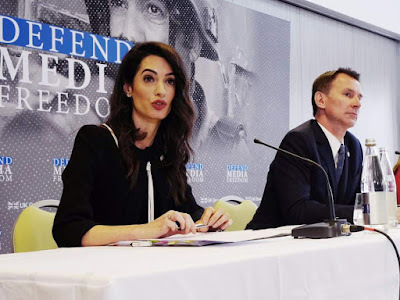 So is the film just an easy target for fringe groups and right-wing elements to force their beliefs on one man’s freedom of expression? History certainly seems to show that. The youngest sibling is the parents’ favourite!